VirtenSys has announced the general availability of its flagship I/O virtualization switches, the VirtenSys VIO 4000 Series based on its Virtual Connectivity Cloud platform. Xsigo Systems (previous coverage), provider of data center I/O virtualization solutions, today announced the availability of an enhanced version of the company's VP780 I/O Director. 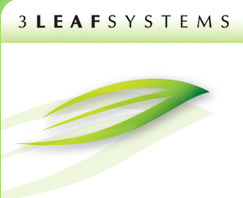 3Leaf Systems today announced the general availability of 3Leaf V-8000 Virtual I/O Server version 2.0, a key component of 3Leaf Virtual Compute Environment.